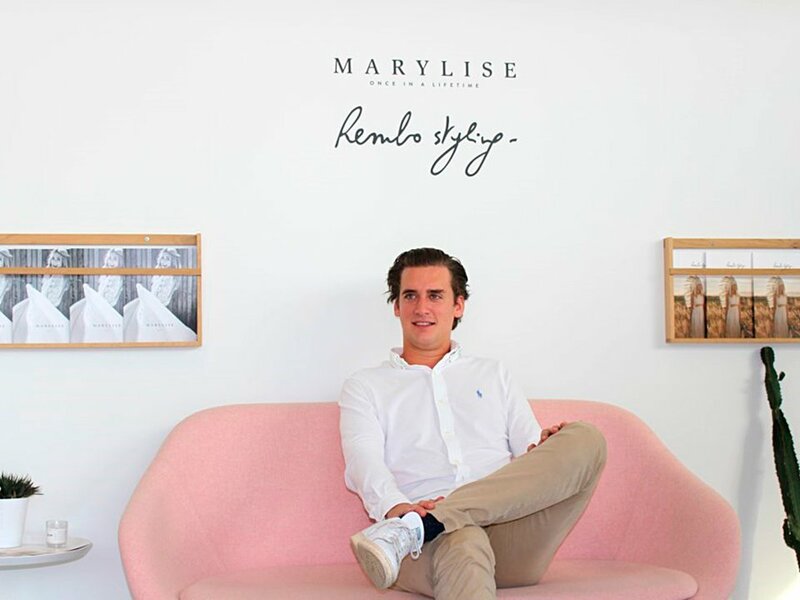 The Marylise & Rembo Styling family is expanding again, literally! Werner & Karine’s son, Cedric, recently decided to join the family business and represents the 4th generation of the company, together with his sister Chiara. We did a quick Q&A with Cedric to introduce him! Is it a dream come true working in the bridal industry? Knowing that 90% of family businesses don’t survive the 3rd generation, I’m very grateful I can join it as 4th generation. The bridal industry itself has always interested me as it’s a very unique industry, where emotions and traditions are key aspects. I’m here to help to keep this dream alive! Why did you choose to join the family business? Being involved in the company from a very young age (not directly of course), convinced me I wanted to be involved in the family business one day. When we were young we travelled to the Trade Fairs to help backstage and although I was never allowed to dress the models, I probably served you a coffee as a young boy. After my studies I opted for a career in a totally different world to the fashion industry. I wanted to gain experience somewhere else in order to develop myself further and after 4 years at Deloitte I felt ready for the next step; joining the family business feels like coming home! What’s it like to work with your parents and sister? Open communication is key! As a family we’re very aware we need to treasure the gift of working together very carefully. Luckily, the skills and values that we each add to the company are very complimentary. First of all I’ll get to know every process from designing through to selling a wedding dress, then I will focus on the production and logistic processes within the company. Our own production facility in Portugal is unique and we believe this gives us continued opportunities to further support the growth of MRFG. Do you already have a favourite dress from the 2018 collection? That’s a difficult question, but if I really have to choose: I truly believe the Full of Love dress from the Marylise collection is beautiful! For me this perfectly represents the new direction for Marylise.